Tours de Sport's Blog: BIG SAVINGS in Beaver Creek, Colorado! BIG SAVINGS in Beaver Creek, Colorado! More snow predicted for the west this week-end and now MORE SAVINGS for Spring skiing and riding in Beaver Creek, Colorado. Check out these SPECTACULAR deals. These spectacular savings cannot be reserved online. 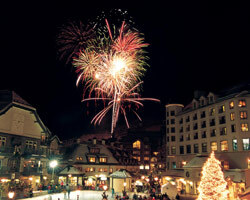 888-754.2167 and request the Sprng Break on Us offer for Beaver Creek.